Man and Van Mates is a company providing relocation services. 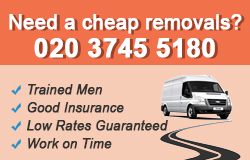 The company specialises in delivering man and van services in Ealing, W5. Do you intend to move out of your home? Maybe you need someone to help you with the relocation of your stuff. Look no further than our company, which is based in Ealing, W5. We have competitive prices, individual attention, our own vans and moving boxes. We are keen on this job and would do everything we are told regarding the safe transportation of your stuff. Our specialists will treat items individually and take extra caution when dealing with expensive, valuable or breakable items. They are capable of moving and loading heavy items on the vans. Be sure that we can deal with the task. We guarantee you will be content with our service. Get a free quote. You love your car is elegant, economical and very easy to park – the perfect city car, but when you decided to move to a new home you understood that you need something bigger – like a van. Let us offer you a better solution to our problem – keep your car like that and call and order our man and van service and we will take your luggage to any point of London you wish, cheap fast and easy. Do not hesitate use our managers situated in the office building in Ealing, W5. To move to a new place, you usually have to plan the whole process of moving your goods to the new location. With our help, the move will be carried out quickly and flawlessly, without you worrying about anything. We are an experienced company, which has been dealing within the business of removals for a very long time and providing customers with amazing man and van services at low prices. We have been serving the area of Ealing, W5 for years and working hard to become the most reliable company on the market. We are available seven days a week, including weekends, so call us any time. Man and van is not the title of a new action movie but our new service. We will take care for moving your furniture and you big appliance, and we can guarantee you the quality of our service and that your beloved stuffwill be removed safely even if you move from a suburb like Ealing, W5, to the centre of London. You can order our services through our website by using our form for ordering or you can call us on the phones we have written below.